The next-generation iPhone is expected to be unveiled in June at WWDC 2010 which will be held at Mascone Center in San Francisco. The real deal as we informed you earlier, has already been leaked in the wild. So why jailbreak the next iPhone? Well, as we all know, jailbreaking the iPhone has always been crucial, giving you access to a whole set of features, allowing you to install tons of useful apps which otherwise wouldn’t have been possible, and most importantly, it also allows you to unlock your phone so that you can use it with any carrier. Apple of course patches all these loopholes in every new version of its OS which makes jailbreaking harder. But sooner or later, hackers have always managed to find new exploits which jailbreaks the iPhone on the latest firmware. Earlier this month, Apple unveiled iPhone OS 4 Beta for developers to test their applications before the final OS is shipped with the next-gen iPhone in June. This firmware has already been jailbroken by infamous hackers like geohot, iPhone Dev-Team and others. In fact. you can go ahead and download redsn0w right now to jailbreak iPhone OS 4 on iPhone 3G. Unlock at the moment can also be achieved on the older iPhone 3G with 05.08 bootloader, which is kind of rare to find these days. While there is no ETA given for any of the above mentioned tools, there is this talk going on in the community that the tools like greenp0ison, blackra1n for iPad, Spirit (the new userland untethered jailbreak) and PwnageTool will be released once either iPad 3G hits the shelves, or when Apple releases iPhone 3.2 for iPhone and iPod touch – which is kind of unlikely to happen now. UPDATE 1: Limera1n to Jailbreak iPhone 3.1.3 / 4.0 / iPad / 4G Untethered? You can read all about Limera1n by following this link here. why don't these guys (geohot et al) just go ahead and release the 3.1.3 (w/ 05.12 bootloader) jailbreaks? If they aren't the same, then what's the hold up? let's go already! Just to get this right. Will there be a chance to unlock my iphone 3g with bootloader 5.09, when the new OS4 is out. I am running OS3.1.2 on it and its jailbreaken, but what everybody is waiting for is the unlock! Will there be an unlock for the new bootloaders or not? Simple question. There is no jailbreak for non jailbroken devices. The already jailbroken OS4 devices shown are the pre jailbroken ones. So if you have a new device locked and on 3.1.3, sell it. This information came from a friend on DEVs. Remember a couple of weeks before, they announced that a jailbreak will be released on 24th of April. THEN SILENCE. Now its June. In June, they will announce a delay and then a new firmware 4.0.1 which will have many advantages. June will be July, August, November….. Happy new Year. I know that I cant jailbreak atm. I was waiting hoping the new 4.0 jailbreak would let me jailbreak it. (Because I need my phone unlocked) but from what I take it from your post, will it not be possible to jailbreak my iphone when the new OS comes out? Without already having it jailbroken? Thanks man. I know there's a jailbreak for the iPhone os 4.0 but does that mean I can jailbreak the iPhone HD? Since the os 4.0 is jailbroken does that mean I'll be able to jailbreak the iPhone HD also? I have the same iPhone 3g 3.1.3(7e18) and you CAN jailbreak with redsn0w. Just do a little research… I jailbroke mine right after I updated to 3.1.3 (updated because phone bricked). Man dnt listen to him. i just bought an iphone 3g 16gb and i accidentally updated it thinking it would remove the jailbreak and allow me to unlock it, but it didnt. So now, i am running on firmware 3.1.3 and bootloader 05.09!! but all me and everyone else can do is be patient. My dad is a computer technician and an apple FREAK! 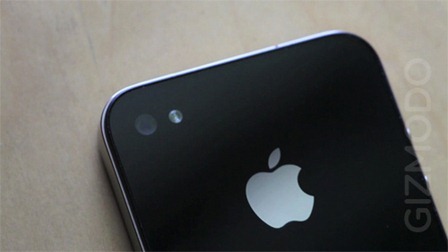 when the new iphone 4g hits the hands of people, itunes will have a new update for the 4g. and when that happens Geohotz, or Dev-team, or etc will be able to release a system that will jailbreak AS WELL AS unlock 3g 3.1.3 on bootloader 05.09. I have my 3g sitting in my lap now jailbroken with spirit, but it is not unlocked. we just have to wait til July 2 when the 4g should hit stores. no the bootloader is hardware which is ingraved into the iphone. the only way to change the hardware is by taking apart the iphone, which you can buy the tools to do and look for a tutorial to change the hardware, but it is set to be VERY DIFFICULT. so like ive posted before, we have to be patient! Your exactly correct. the jailbreak and unlock for the 3.1.3 firmware and 05.09 bootloader is the exact software to unlock and jailbreak the iphone 4g. if they put it out now before the 4g is even out, then apple can put a loophole on it and everyone who continues to want to unlock or jailbreak their devices are going to be crying sad because of failure. they have the exploit (what hackers call it) out in their hands now, they are just waiting for thr OS 4 to come out! get back at me!!!!!! well friend One of our readers, Carl, raised a question after successfully jailbreak the iPhone: What should I do after jailbreak!